Discarded paper cups, unrecyclable plastic, even just tossing your grinds in the trash—coffee creates waste. Drinking coffee creates waste. And that’s just at the end of the process. Roasters also have a byproduct called coffee chaff that typically ends up in landfills. When it comes to the chaff, at least, an engineering firm in Fargo, North Dakota, thinks they’ve found a way to help reduce the waste. C2renew has developed the c2cup: a reusable coffee cup that is made from coffee—well, coffee chaff, anyway. The company mixes coffee chaff with a cornstarch-based resin to create an all-natural plastic. 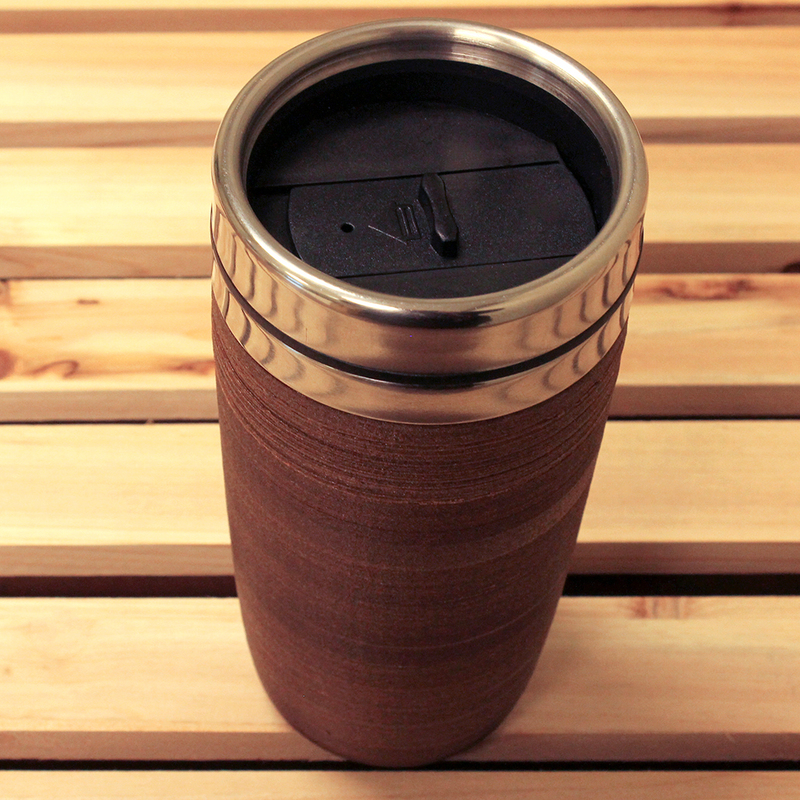 They then 3-D print that plastic into a heat-resistant shell and wrap it around a stainless steel mug. What you end up with is a cup featuring coffee both inside and out. The company plans to put their unique take on the coffee mug into production regardless of…. but decided to launch a Kickstarter campaign to raise both funds and awareness. They’re currently about $70,000 short of their goal, with only four days left to go. Via Kickstarter, you can try to snag one of the mugs with a $20 pledge. Otherwise, keep an eye out for these mugs on the market. According to co-founders Chad Ulven and Corey Kratcha, they are in talks with some major coffee chains and hoping to sell them in stores.